The new general manager will head up the North American team for Select Italy and Select Croatia. Select Italy and Select Croatia has significantly expanded its presence in the North American travel agency community over the last decade and Randy brings the industry experience and knowledge to take us to the next level. 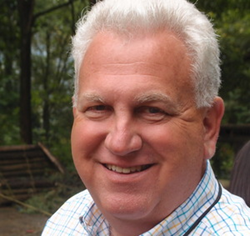 Select Italy (http://selectitaly.com), a web-based boutique travel company, announced today that travel veteran Randy Mohr, CTC has been named as General Manager for North America. Mohr will head up the North American team for Select Italy and Select Croatia. Select Italy also has offices in the United States, China, Argentina and Russia. Mohr has almost 25 years in the industry, including 15 years as Director of Travel Industry Sales at AvisBudget Car Rental. He also has served as a consultant to multiple tour and rail operators in the North American marketplace and served on the ASTA Supplier Advisory board for several years. Jacopo Sertoli, Chairman, said “Select Italy and Select Croatia has significantly expanded its presence in the North American travel agency community over the last decade and Randy brings the industry experience and knowledge to take us to the next level. Mohr will be based in Select Italy’s offices in Chicago. Select Italy is The Ultimate Source for Travel to Italy and offers a wide array of superior Italian travel products and services, including customized itineraries, state-of-the-art tours and packages, wedding/honeymoon trips, unique culinary classes, a complete pre-departure ticketing service for museums and musical events, private guided services, yacht charters, transportation, hotel reservations, villa bookings and more. Through a vast network of suppliers and cultural contacts, anything and everything you need for optimum travel to Italy is possible with Select Italy. Based in Chicago with an office in New York and Shanghai and support staff in Italy, the company has expanded its offerings and travel services to the Balkans with the launch of Select Croatia.